Below are translations of poems by Xu Lizhi (许立志), the Foxconn worker who took his own life on 30 September 2014, at the age of 24, in Shenzhen, China. The translations are by friends of the Nao project, starting with Xu’s departing poem and an obituary translated from the Shenzhen Evening News, followed by other poems from 2011 to 2014. 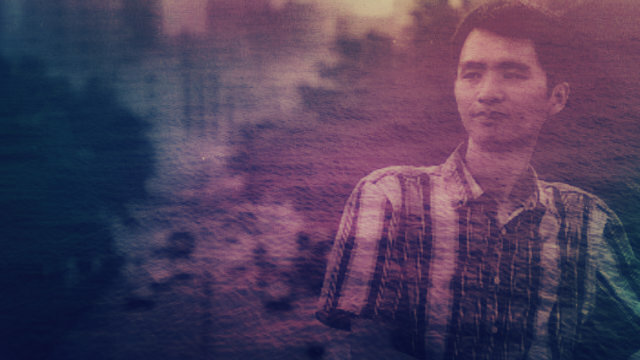 By translating these poems, we aim to memorialize Xu, share some of his excellent literary work, and spread awareness that the harsh conditions, struggles and aspirations of Chinese migrant workers (including but not limited to Foxconn) have not diminished since the more widely-publicized spate of 18 attempted Foxconn suicides in 2010, resulting in 14 deaths. 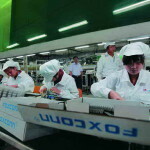 Insiders report that thereafter, although the frequency of suicides decreased (mainly due to Foxconn’s installation of nets making it more difficult for workers to jump from their dormitories, along with the development of workers’ collective resistance), such suicides have continued to the present. Including Xu Lizhi, at least 8 cases have been reported in the media since 2010, but insiders say that many other cases go unreported. We hope that in the future, workers in Foxconn and elsewhere manage to find ways around such companies’ military-style discipline and surveillance, come together, and forge collective paths out of this capitalist world of death, into a world worth living in. Don’t give up! Several of these poems were included in the Shenzhen Evening News article linked and translated below; the others are widely available on the web, such as this post on Douban. In 2010, Xu Lizhi went [from his home in rural Jieyang, Guangdong] to work at [a] Foxconn [electronics factory in Shenzhen], beginning life on the assembly line. From 2012 until February of this year , over 30 of his writings were published in Foxconn’s internal newspaper Foxconn People (富士康人), including poems, essays, film reviews, and news commentaries…. 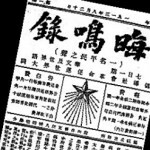 Xu posted the titles of these writings on his blog in a post called “The Maturation Given to Me by a Newspaper,” indicating his gratitude for this platform for his literary aspirations. The first time his friend Zheng (pseudonym) read Xu’s poetry, he was astonished to discover that this young man could be so talented. Henceforth, Zheng always looked for Xu’s writings in the newspaper. 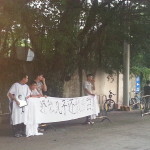 Zheng’s impression was that Xu was a shy boy, “of few words, but not silent.” “Xu asserted his convictions, but he seemed quite solitary – very much the air of a poet.” When Zheng heard of Xu’s suicide, his entire [week-long] break for [China’s] National Day was shrouded in grief. He could not go outside for days. 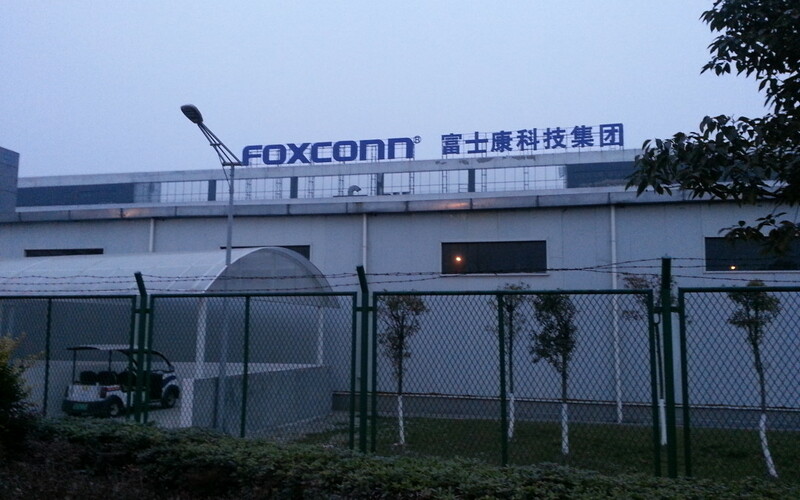 In February of this year, Xu quit his job at Foxconn and moved to Suzhou, Jiangsu. His friend explained that Xu’s girlfriend worked there, but apparently things did not go well for Xu in Jiangsu. He told Zheng that he had trouble finding a job, but he did not go into detail about what happened there. 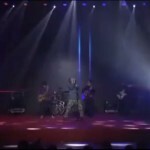 Half a year later, he moved back to Shenzhen. In an earlier interview, Xu had said that he loved this city, that he derived great pleasure from its Central Book Mall and public libraries. If he were to return home [to rural Jieyang], there were only a few small bookstores, and “even if I tried to order books online, they couldn’t be delivered” [to his remote address]. Due to his love of books, the first job application he submitted upon his return to Shenzhen in early September was to the Central Book Mall. Zheng recalled that Xu had told him, while working at Foxconn, that his dream was to become a librarian. Unfortunately, he did not get the job, and Zheng thinks this was a major disappointment. Two years earlier, Xu had applied for a position as librarian at Foxconn’s internal library for employees, in response to a call for applications, and Xu had been turned down then as well…. Xu was running out of money, so after these disappointments, he returned to Foxconn, beginning work on September 29, in the same workshop where he had worked before. This should have been a new beginning, but it was not. That evening he mentioned to Zheng via online chat that someone had found him another job, so he might leave Foxconn again, but Zheng did not consider this anything special, figuring that Xu would not leave very soon, having just resumed work at Foxconn. The next Zheng heard of Xu was two days later, when people forwarded the news of Xu’s suicide on WeChat. Zheng could not believe it: “Hadn’t we just chatted two nights ago?” Later Zheng learned that Xu had committed suicide only the morning after they had chatted, not two days later as the media had reported. After Xu’s passing, some online obituaries claimed that as a young child he had been orphaned, neglected and insulted until a poor old women adopted and raised him, and that this foster-grandmother had died a few years ago, leaving Xu alone in the world. Xu’s poetry is cold and pensive, directly facing a life of misery. His poems trace a trajectory in which the scent of death becomes more and more pronounced. He had already rehearsed death hundreds of times in his writing, so the final act was merely a small step over the edge. We repost this here because two of the translators posted it on Nao before co-founding Chuang in 2015. Chuang and Nao continue to exist as separate projects. 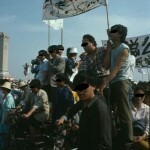 From the 1990s through the 2000s, dagongzhe referred mainly to migrant wage-laborers from rural areas, often working in precarious employment positions, as opposed to urbanites working in stable positions (usually in state-owned enterprises), who were called gongren, the socialist-era term for urban “workers” with permanent positions in state-owned and collective enterprises. In the past few years, however, these two terms have become somewhat interchangeable (perhaps reflecting the convergence of conditions among different types of workers), so here we translate dagongzhe simply as “workers.” (Below we add “migrant” in a few cases where it seems necessary for clarification; in general, the term reflects the ambiguity of migrant workers’ status in China today – as workers differentiated from other workers, as neither urbanites nor peasants – somewhat like the ambiguous status of international migrant workers in other countries, such as people from rural Mexico working in the US.) For discussions of these two terms as used in the 2000s, see “China’s Migrant Workers” by Prol-position, and the introduction to Made in China by Pun Ngai (Duke University Press, 2005). We at Nao would like to point out that this explanation neglects the profound hatred of life on the assembly line reflected so clearly in many of Xu’s poems quoted above and translated below, coupled with his desperation after repeatedly failing to find a more satisfactory way out of that life, including the possibility of returning home to the empty, poor village where he would be cut off from access to books – his main source of pleasure and meaning in life (along with – presumably – the possibility of being together with his girlfriend or getting married, which would require more money than Xu would have been able to make in the countryside). This account also fails to explain why so many other workers – at Foxconn and elsewhere – have chosen to commit suicide – even those who were not poets.